Unlike the previous communications, this is written amidst many distractions of extremely busy schedules. This may lack continuity in theme and text. Hence, please bear with me. 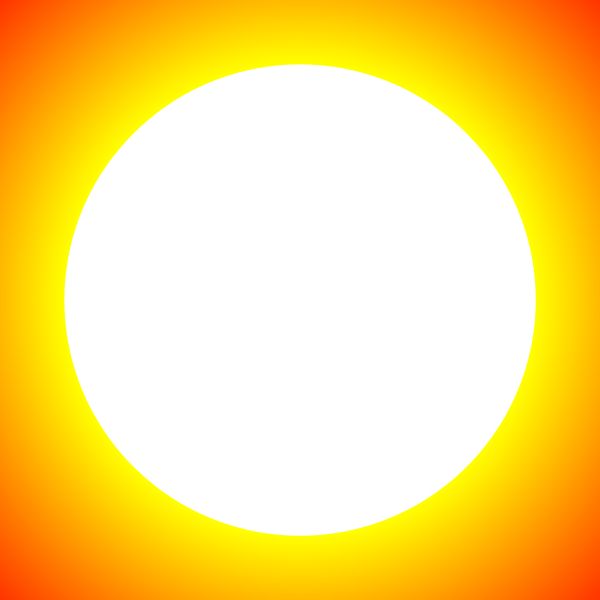 Kindly read on….. “DIVI SOORYA SAHASRASYA”- “Brighter than a thousand Suns”. When we came on earth, we were brilliantly bright. However, darkness of emotions, like persistant waves, lashed on us continuously, and we forgot our real state. We started feeling limited, ordinary, and in a way, “too terrestrial”. We started looking at life as limited – as 0ne lifetime from birth till death, along with our ego identifications such as name, status, pedigree etc. Our supremely bright Father allowed us to deeply experience the darkness and confusions of terrestrial existence so that we could clearly understand our true glory in comparison with the seeming darkness of an emotional existence. Our Father actually created the whole dual scenario for this purpose. He never interfered. Sometimes, when darkness enveloped our limited minds and ego blinded us, He himself incarnated to guide us back to our path of non-duality, to the understanding of higher unity. And everytime he did that, he wore the human body made out of elements that we are familiar with, and underwent or experienced changes, disease and decay, just as we do. Time and again, we continued taking birth after birth,rolling in ignorance of our true state. Existence was always based on relativity. Emotional expressions were based in relationships. Ego bloomed in every man and died at his physical death, only to be reborn, again and again. Through many births and related learning and purification, the urge for liberation from the endless cycle of birth and death started growing within us. Thus, slowly and steadily, we started recognizing our true nature. With more awareness, we shifted our consciousness to our soul. Then, through the soul we saw our Father in all His brilliance – He was shining BRIGHTER THAN A THOUSAND SUNS!!! Time has seen many battles. 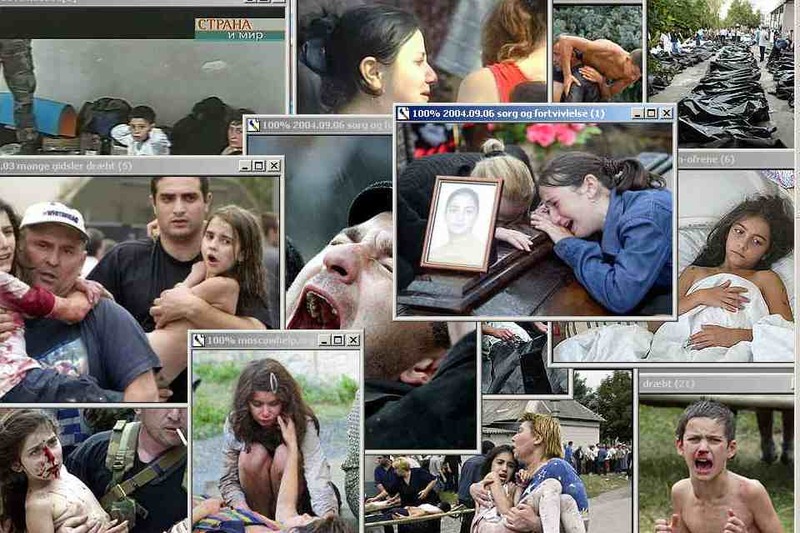 Battles between countries as well as individuals. All the wars began from the inner conflict of one or more individuals. Collective inner conflicts get converted into life changing events and wars. Wars always left behind immense destruction, death and sorrows. Man’s restlessness gets reflected on our mother earth too. The more agitated mankind becomes, the more are the number of wars and natural calamities. Emotions swell into wars. External expression of violent inner conflicts are physical wars. The fight is essentially within oneself. Time creates and destroys. This is the dharma of time. Time and again we have seen complete annihilation of life, civilisation, species and thought processes. Man evolved through such experiences over life times. Civilisation without higher awareness is extremely hollow. Sanjaya was given the power to see beyond the darkness of his closed eyes, through cosmic vision. He could see all activities as if they are happening within himself and he could also sense the mental transactions of all those whom he chose to watch, as if it is happening to himself, within himself. Hence he could narrate everything to the blind emporer Dhritharashtra in absolute clarity and truthfulness – he became the emporer’s eyes. Sanjaya told Dhritharashtra, the father of Duryodhana and his 99 other children, that Arjuna might call it a day, even before the battle of Kurukshetra began. Arjuna became terribly emotional and assumed responsibility of all his future actions as the war was proceeding. Emotion had drained his energy and will-power completely. He was confused. He was suffering from guilt over violence that he would perhaps commit in the future. He was confusing between karma and dharma. Darkness of ignorance was shrouding his clarity and vision. He became completely depressed and mentally paralyzed. Dhritharashtra, the blind father, was relieved. At least for a moment he hoped that the war may not take place at all. He expressed his emotion with a sigh of relief. “After all, the war is between cousins. It might be possible that Arjuna’s dilemma could make his brother’s sons reconsider a truce”, Dhritharashtra thought. ” The truce was possible only if one surrenders unconditionally. Truce based on equality was out of question. 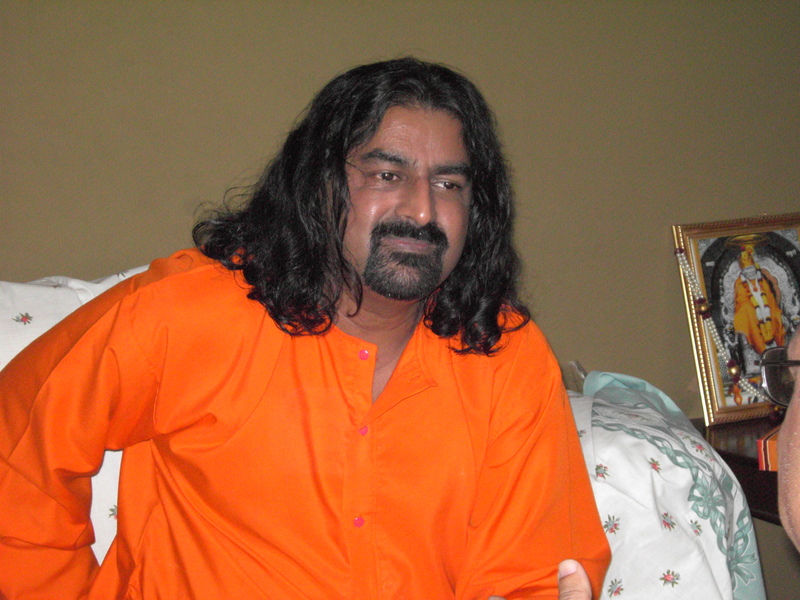 And truce was possible only if Pandavas surrendered without conditions. Well, it could clearly be wishful thinking. Yet, never too late for anything. Wars always wreaked havoc. Destruction and associated sorrows are bound to happen in some camps. It is always better to avoid wars. Man’s greed and ego created wars. Wisdom of higher beings created peace. Wars and Peace are played time after time to cleanse and re build. Mounting ego always ended up in conflicts. Peace lies in non- resistance and acceptance of existence as it is. Who could do that? Ordinary mortals cannot. Only higher wisdom establishes beingness. Only beingness breeds equanimity. Only equanimity over happiness and sorrow provides non-resistence and liberation. Not easy. Not easy at all. Forget it. Let us be practical. Lets talk business. Eh?”. The emporer shut his blind eyes once again. 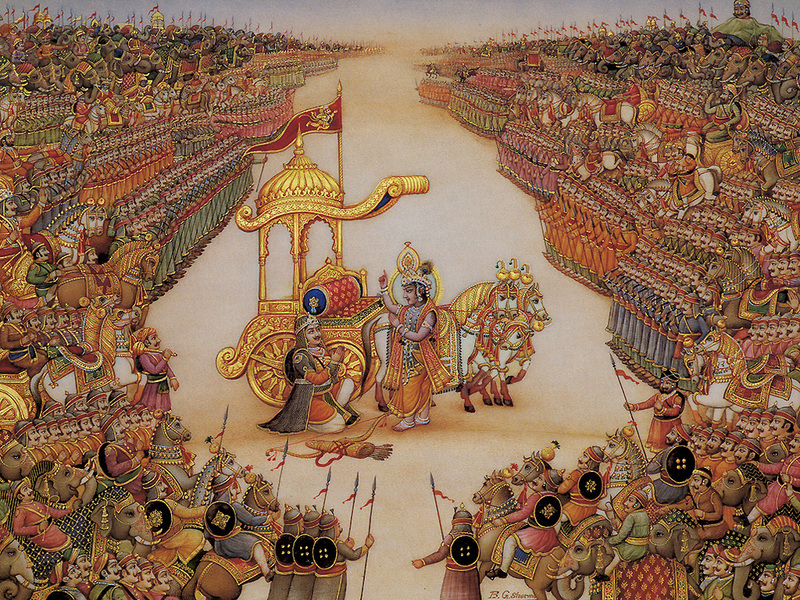 Krishna brought up the understanding level of Arjuna, effortlessly, in the battlefield, amidst the two armies. In the middle of the battlefield, Krishna expounded the Gita. The Bhagawat Gita. The essence of all Upanishads.What a place or location to convey the ultimate truths of existence!!! Krishna chose a battlefield, a tense war zone, to convey the complete essence of all upanishads to a depressed man; and He made sure his student understood it all and brought Arjuna back to the war.!!! That was Krishna. The Mighty Avatar!!! Situations never mattered. Krishna was a complete Avatar. He could perform his dharma with perfect balance of mind, at anytime, what ever the situation may be. Nothing mattered to this powerful master. He raised Arjuna to the awareness level of enlightenment and put him in the track of Dharma, completely nullifying the emotions related to karmic relationships. For an ordinary individual, this would have been a Herculian task. For Krishna, the avatar, it was simple and clear. 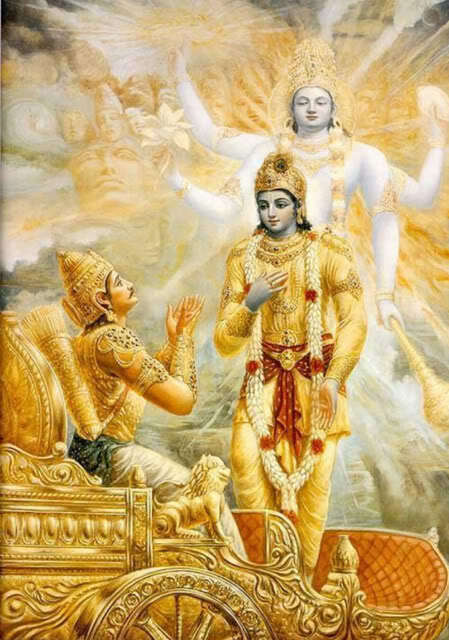 And while at it, He even elevated Arjuna’s levels to comprehend the state of God realization, where the past, the present and the future existed on one plane and time stood still, with inner eyes well fixed on cosmic glory and brilliance, Arjuna experienced the cosmic bliss. Sat Chit Ananda. The glory of the true form of Krishna was never explainable in terms of words, because verbal explanations are too limited. This phenomenon was truly beyond any kind of explanation. Arjuna saw all the people whom he was supposed to kill in the war, already dead and going through the huge mouth of time, which was displayed within Krishna’s true form. The true form of Krishna was all encompassing. All that happened in the past, all that is happening in the present, and all that will happen in the future was seen simultaneously in that form. There was no past, present and future as parellel to time, the way our conscious mind can recognise. Everything existed at once. The brightness was blinding, yet soothing. It was indeed like a thousand suns coming together, yet, soothingly cool. This is the nature of Parabrahma. This is our true nature. We too get to see it when we go beyond the darkness of our closed eyes. The brightness beyond the darkness of ignorance and identifications. Krishna had displayed His true form once earlier, when the Kauravas decided to arrest Krishna, as he appeared in their royal court, in the role of the messenger of Pandavas. When he showed them his true form, most of the people assembled there could not see it as they were blinded by His brilliance. Only those who were truly innocent and pure, saw the glory of the Lord. They were very few. Those who see the glory of God in everything are very few, sadly even now 😦 . Now, Arjuna was specially empowered by Krishna to see this glory in the battlefield called Kurukshetra. Otherwise, it would not have been possible for him. Even lifetimes of spiritual practices cannot take one to the capacity of witnessing cosmic brilliance even once. It is something so elusive from our level of gross. Once we have experienced the cosmic brilliance, terrestrial illumination will seem far inferior. Once we experience the “ananda” or bliss state of liberated awareness, terrestrial emotions will seem unworthy. Only love will exist. Only compassion will express itself through us. Again, who gets the eligibility to enjoy the proximity of a Master like Krishna? Only the Master can choose His disciple. The Master chooses those who are eligible to see him, feel him and recognize him. Others will look, but can never see. Some cannot even reach the Master. One needs to have clarity of purpose, of his own existence. Then, he will easily recognise the Master. True Masters behave in the most ordinary way, and they will never display their enlightenment. It is not easy to recognize a Master, unless he chose to show himself and you choose to elevate yourself to recognise Him. Faith is the key. Devotion and Patience are the two legs that will take you there. The Epic battle took place. Arjuna’s army won the war, of course, with the GRACE OF KRISHNA. Both sides lost many men, horses, elephants and wealth. Arjuna was quite elated as well as proud and egoistic, which is natural for any victor. ( We always own our achievements and blame others for our failures 🙂 Isn’t that true?) After the war, Krishna, his charioteer, drove the chariot to their camp and told Arjuna quite unceremoniously – ” Get Down”. Usually, the charioteer will get down first and open the door for the elite passenger. Arjuna waited for Krishna to do so. Again, Krishna continued to sit in his seat and said ” Get down”. Arjuna still waited, hoping that Krishna would remember the courtesy. He did not. A third time Krishna said, Arjuna alighted from the chariot, quite unwillingly and a bit disappointed. Krishna let loose the horses and jumped out of the chariot. Suddenly, Arjuna saw the chariot catching fire and the fire consumed the chariot in no time. Fire swallowed the chariot in front of his own eyes and Arjuna witnessed this in utter amazement and disbelief. Arjuna was truly astonished. He was humbled when he thought what his fate would have been, if Krishna allowed him to stay and jumped out of the chariot first. The fire would have consumed him too!!!. He realised: ” Great Masters operate from the plane of higher consciousness, understanding and awareness. Ordinary humans cannot fathom that. Hence, it is wise to leave them on their own and obey what they say, without arguing within or externally, or even analyzing it with our highly conditioned and limited intellect. There is always a higher purpose, in the realms of true Masters, and they are always aware of that.” All of us are brightness incarnates and All Great Masters are always living that brightness. If we confuse ourselves by looking at their finite body or the way they behave in the society, we lose an opportunity of a lifetime. They lose nothing, because they have no expectations. I conclude this with my humblest, deepest prostrations at the feet of the Great Master, Lord Krishna. He gave so much wisdom to the world which transcended generations. He incarnated to uplift dharma and eliminate adharma. Annihilation was his method. 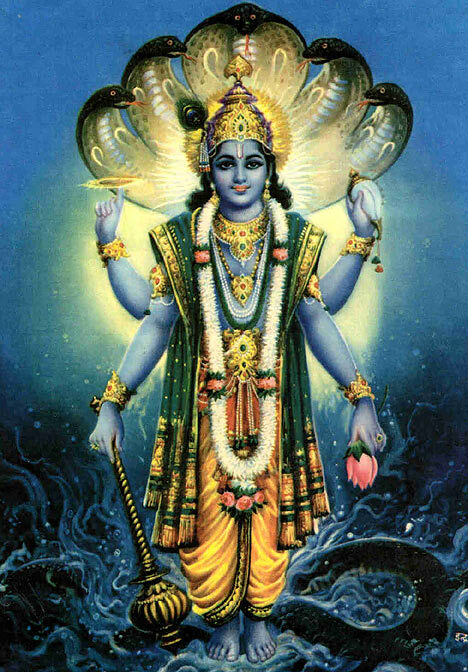 What we could possibly know about Krishna is probably a pebble compared to the mighty ocean that he truly is. Generations will come and go. The message that Krishna expounded will exist for ever. “Kaayena Vaacha, Manasendriyaiva, Buddhaytmanaavat, Prakrite Swabhaavat, Karomi Yadyat Sakalam Parasmei, Sree Naraayanayeti, Samarpayami.” (I offer all my vasanas, every thought, every word and every action at the lotus feet of Lord Sree Krishna, The Maha Guru, the Universal Master). hope all well- Beautifully explained . ego is really one of the dangerous things we possess. Namaste & Thank you Mohanji. Its been a day of reading for me today, many blessings pouring in, the flow continuing from yesterday’s BTW. Thank you so much Mohanji. Jai Mohanji..Thank you for the message. Thanks a lot Sir. Lots of Love.